Recently renovated, our TownePlace Suites offers studio, one- and two-bedroom suites perfect for extended stays. No guest goes to bed hungry - hot breakfast is served on the daily and each suite features full kitchens with a stovetop, microwave, fridge and stainless steel appliances. Unpack your suitcase in the new, modular elfa closet brought to you by The Container Store and spread out on luxurious new bedding. Head outside for a dip in the heated pool or fire up dinner on shiny new Weber grills. Looking to explore Southern California? We're across from Ontario Mills Mall and only minutes from the Victoria Gardens, LA/Ontario International Airport, Citizens Bank Arena and the convention center. 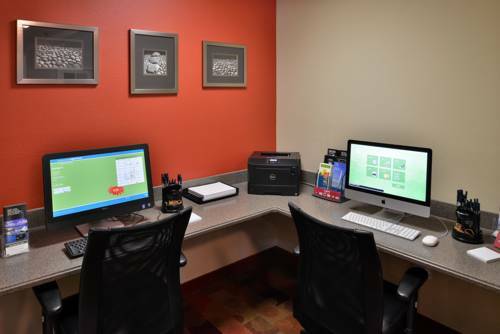 Other hotel amenities include an exercise room open 24 hours per day, laundry facilities, complimentary Wi-Fi throughout the hotel and on-site copy, fax and print services. Because we understand your family may include more than just humans, TownePlace Suites Ontario is 100% pet-friendly (fees may apply).